The engraved small Presentation Shield is 5" high, and is made from veneer wood with a plastic strut on the back for a stand. 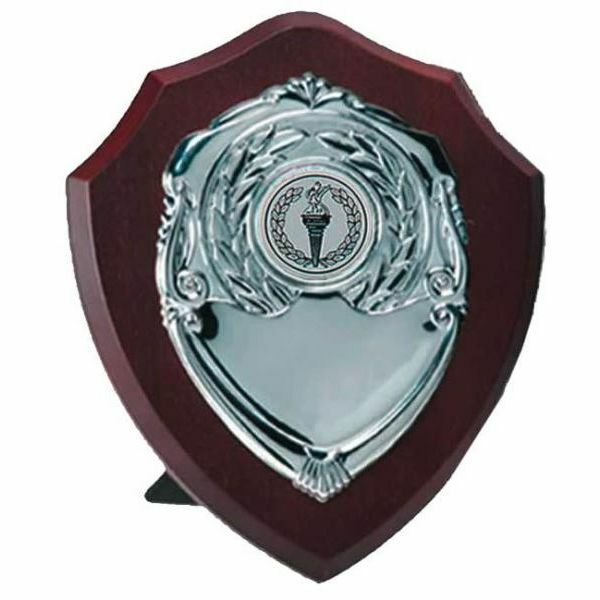 Up to 50 characters engraving is included in the price to personalise the presentation shield, and additional characters can be engraved. The engraved Presentation Shield is postage band B.